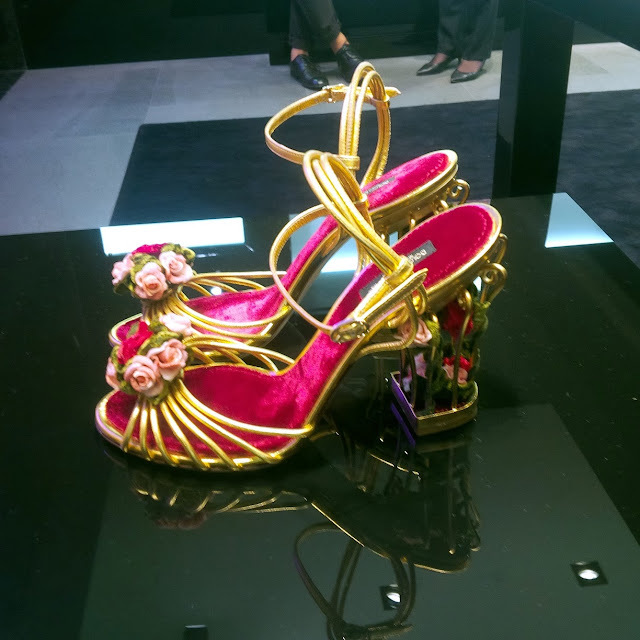 The latest collection from Dolce & Gabbana is simply irresistible, footwear should be called a piece of art due to the intricate details it features.. The pair of caged wedges was something I thought I must try on to get out of my system, and let me warn you it's super high that might replace a skyscraper easily.. The same design minus the exaggerated wedge, making a statement the subtle way..
Another heel I personally liked where those velvet mary-jane pumps, the crystal and flower cameo's crusted heels blew me away along with the metal carving gave it another depth..